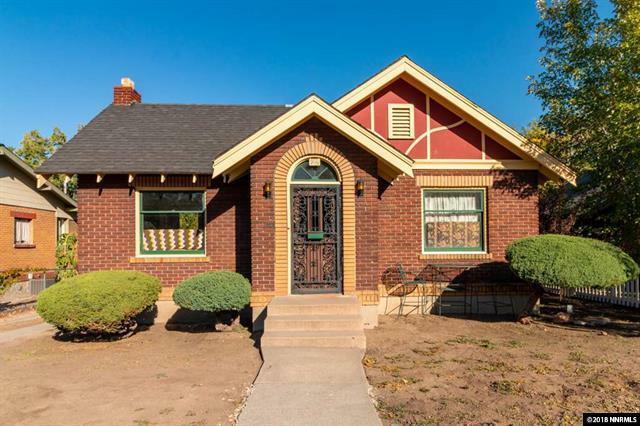 Reno/Sparks area REALTORS sold 439 single family homes in September, which was 126 fewer than August 2018, and 28% fewer than September, 2017. The number of available homes increased less than 1% from August, with 1,377 homes active on the market in September. A more significant increase of 25% was observed when compared to September 2017. Inventory has been growing slightly each month since the beginning of the year, which is a welcomed relief to buyers in the region. 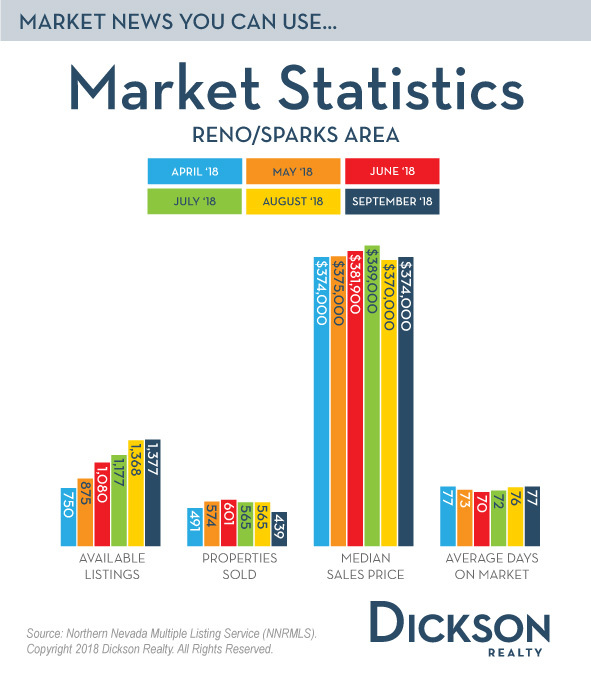 The median sold price for single family homes in Reno/Sparks increased by just over 1% in September, to $374,000. When compared to September of 2017, a more significant increase of 11%, or over $38,000 was realized. “Median” means “in the middle”, so half of home sold for less and half sold for more. An annualized upward trend in median price is expected to continue for the foreseeable future. Average Days on Market for homes sold increased slightly by 1 day from August to September to 77 days. At this time last year, days on market was 7% higher, or 83 days, so the Days on Market that we see today still represents a very fast paced market. It is important to be pre-qualified with a lender before looking at homes to buy. Whether buying or selling in a competitive market like we are experiencing, having an expert Dickson Realty agent on your side can help you buy or sell at the best price.